There is no shortage of gaming headsets, the market is flooded with them. Finding one that is for you can be quite the endeavor. With prices all over the spectrum, it is sometimes difficult to determine a headset’s quality and value. Many find themselves wondering how much they need to spend, in order to get a great headset. 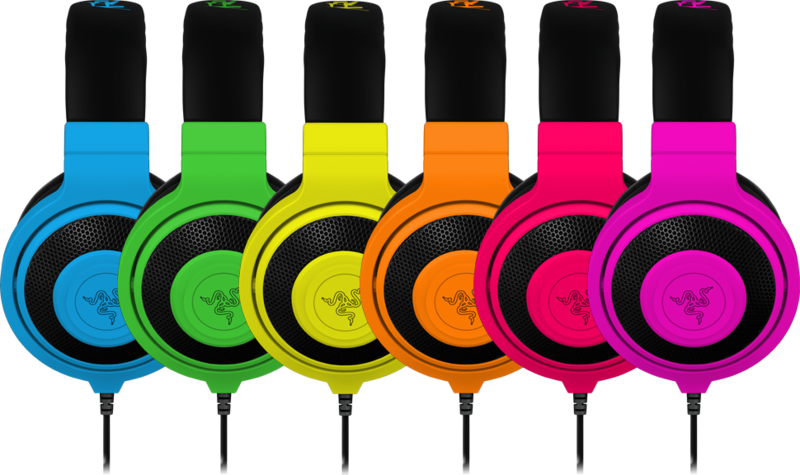 Today we will be looking at the Kraken Pro from Razer, a headset that I have been using for a while now. The Kraken Pro comes in many colors if the Black is too plain for you. 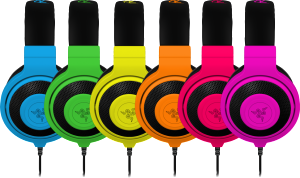 On first impression, the Razer Kraken Pro is really eye catching if you decide to select any of the extremely bright colors. I chose green because it caught my eye and I was feeling like taking a break from the standard black. I am glad I did, because I really don’t see another company giving their headsets the same type of personality that Razer is bringing to the table with the Kraken Pro; it gives them a unique, second kind of cool, feeling. It is rare for me to be satisfied with a purchase before even taking it out of the box but Razer managed to do that. At first the plastic construction is a bit cheap feeling, especially considering the metal construction of other headsets. But the build quality is nothing less than premium and feels like it is very durable. After getting past the color, the leatherette-wrapped memory foam ear cups are noticeably larger than other headsets I have owned. The retractable microphone is very discrete which makes the Kraken Pro a possible candidate to be an everyday-carry pair of headphones. It is important to note that this is an analog only headset, so in order to use it with consoles, you will most likely need to use a usb interface or a converter of some sort . 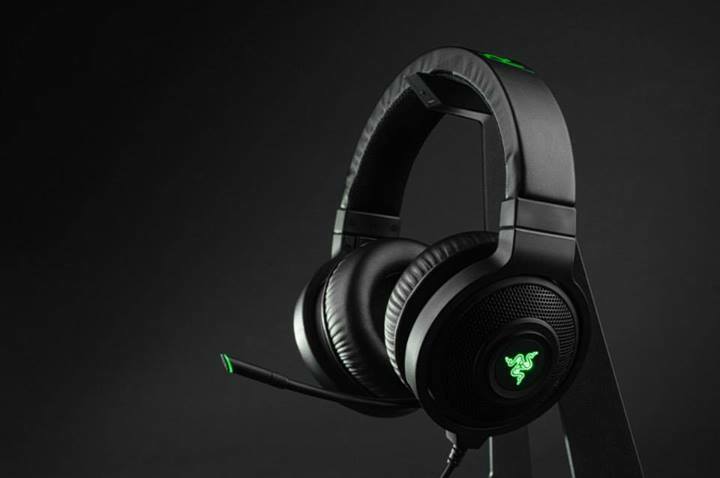 Once in action the Razer Kraken Pro really preforms; while the headset is very simple and does not have surround sound or any fancy features, its design sets it apart from most of its competition. That plastic construction that felt cheap earlier, is the very same material that makes the headset feel extremely light. While that may not be cool when holding it in your hand, it certainly feels a heck of a lot better when wearing it on you head for hours at a time. The ear cups are extremely cushiony; it feels like your head is between two soft pillows, that have a tight, noise canceling-like, seal that helps keep you immersed while playing a game. I have been able to wear the Kraken Pro for hours without experiencing significant discomfort. 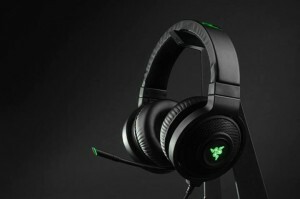 Razer went for comfort with the Kraken Pro and my head thanks them for it. When it comes to the sound quality, it is important to keep in mind that the bass is very important in video games and this is a gaming headset. This headset has very good bass but the high end is pretty weak, This makes the Pro less than ideal for other uses besides gaming. Listening to certain types of music might not be as enjoyable with these. I have tried to use the Kraken Pro as monitoring headphones for experimental purposes and the results were my voice sounding extremely inaccurate. But when it comes to the purpose that it was designed for, the Kraken Pro sounds fantastic. In game sound is crisp and clear with the blasts of explosions and gun fire feeling like it is happening right next to you. Perhaps an even more obscure test than the studio monitoring, was when I plugged the Kraken Pro into an original Gameboy. I have to say, it was glorious; chiptune sounds incredible on these. When it comes to the microphone it pretty clear, it could be better but it is adequate for a gaming headset and nothing more. 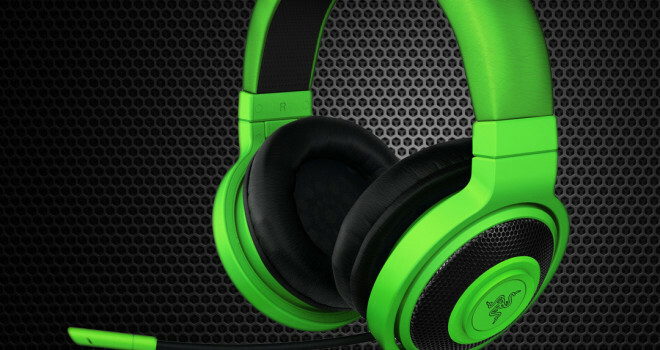 Overall the Razer Kraken Pro is a fantastic, simple, headset that offers superior comfort over its competition. With the growing color options, stylish looks, functionality, and great sound quality, the Kraken Pro is one of the best headsets you can get in the 60 dollar range. If you need a great PC headset at a fair price that you can wear for a long periods of time, the Kraken Pro is a fantastic option. I highly recommend it.